“What happens in Vegas stays in Vegas” right? Wrong… we are certain to bring Vegas to you! Our glamorous and professional showgirls are the perfect entertainment package for any Viva Las Vegas Event. 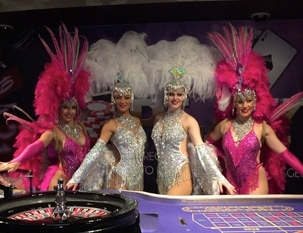 In our stunning feathers and sequined showgirl costumes our showgirls will meet & greet your guests in that red carpet style and will pose for photographs ensuring your event is certainly memorable. We will then perform our professionally choreographed, high kicking, high energy & sophisticated Vegas shows creating that perfect ambience for your occasion. We can even provide Vegas look alikes to add that extra glitz to your event. 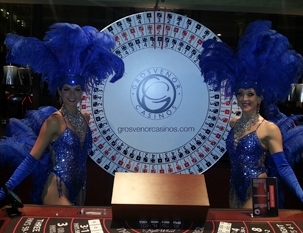 Don’t take a gamble with your entertainment, let “luck be a lady” and hire our VIVA LAS VEGAS showgirls for your event.